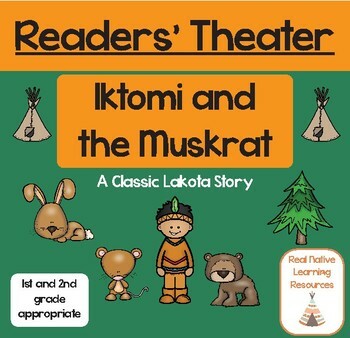 This Reader's Theater Script features a classic Lakota story featuring the goofy trickster Iktomi! Perfect for first, second, and third grade readers! 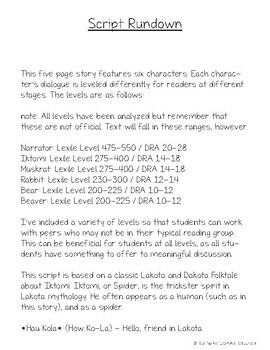 Each character is tiered to a different DRA/Lexile Level so all learners can read! 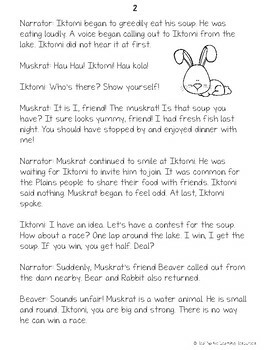 • Five page script featuring six different characters. 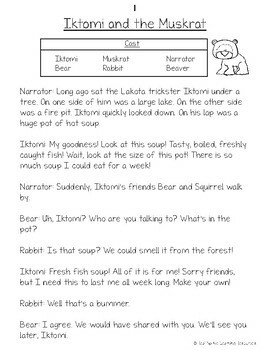 • Classic Lakota Story, written by Lakota teacher.